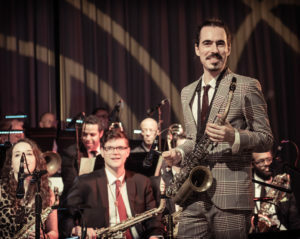 The Eyal Vilner Big Band’s music derives from the tradition of jazz, swing and the blues, and strives to bring its own unique voice to this beautiful art form. The band has been performing widely at some of New York’s landmarks such as Jazz at Lincoln Center, Birdland, Smalls, The Django, Swing 46, Battle of the Big Bands on the Intrepid, and Central Park SummerStage. 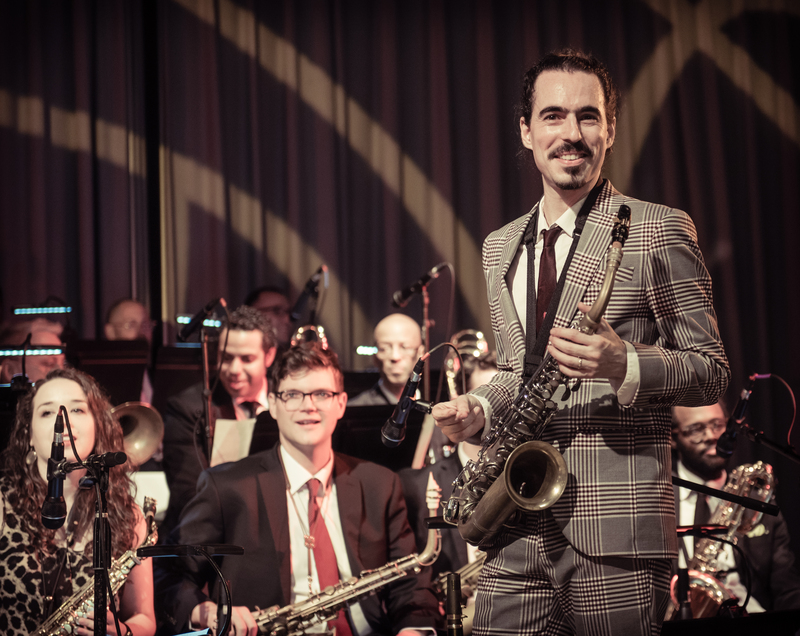 Eyal Vilner is one of the leading voices in the New York Big Band Scene. Born in Tel Aviv, saxophonist, composer and bandleader Eyal Vilner moved to New York in 2007 and started his big band the following year. The big band’s first three albums: Introducing the Eyal Vilner Big Band, Almost Sunrise and Hanukkah received rave reviews and made it to the Top Jazz Radio Charts of the US and Canada.